Sequels love them or hate them it is alway inevitable that a successful film will always warrant a sequel, or even sequels, some if not most are just cash cows for studios, and most films are rushed out, eg Blair Witch Book Of Shadows, the Saw franchise, but every now or then they actually get it right, and above are some examples where the sequels were as good if not better than the originals. I'm writing this after seeing The Conjuring 2, and being surprised how good it was, and surpassed the original easily, even Ouija The Origins Of Evil, was so much better than the first one. 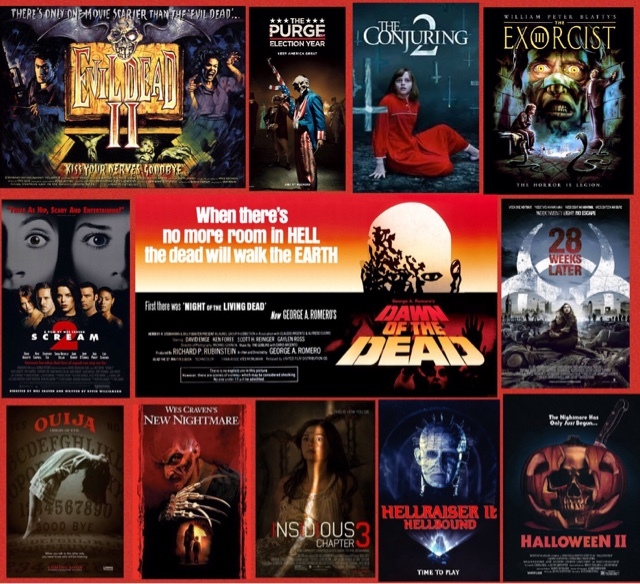 Sometimes the first movie was an independent movie, and a sequel will always add a bigger budget than before, for example Evil Dead 2 was the film that the original Evil Dead wanted to be with better effects, budget, the same as 28 Weeks Later, which the original Danny Boyle even said he had so many ideas for the desolate London setting, but budget restraints stopped that, well 28 Weeks Later addressed that, which in some ways was the same film, but with more extras, violence, brilliant set pieces, the helicopter scene anyone? Made the film so much better. I was never a fan of Insidious, but Chapter 3 was just so good, maybe making it an origins story, or prequel is why it worked so well. Finally it took the original writer of The Exorcist to get behind the directors chair to make the best sequel I think ever made in The Exorcist 3. Sequels will always happen, but do not be too disheartened as some are actually really good, and why not have a sequel to a film you love and have another in which you love as much, because some times studios do get it right, and a sequel can be a great thing.